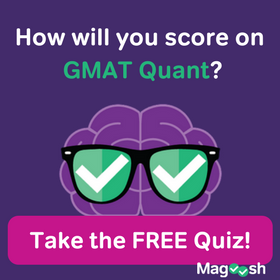 After answering a question on GMAT Club, I realized that one type of error is not on every student’s radar. Many students are attuned to parallelism and are vigilant about eradicating modification errors. Same goes for the more typical grammar errors—students know about subject-verb agreement and pronoun-antecedent agreement. But double negatives have floated below the radar for students, so I’d like to take this opportunity to talk about double negatives. I’ll start by talking generally about negative words, and then I will move into the particulars of double negatives. Negative words in English reverse the meaning of other words. In some languages, negation requires negative words and a change to the verb. But in English, we only need a negative word. These negatives can apply to nouns, verbs, and adverbs, and, as such, can create a little ambiguity. But that’s for another post. No and not are the most common negative words. Others include nobody, nothing, and never. When using negative words, we don’t have to include no or not. These words alone reverse the meaning. Using nobody, nothing, and never is quite strong and emphatic. To soften our sentences, we can use alternate forms that have the same meaning, such as not anybody, not anything, and not ever. One quick rule about negatives—at the beginning of a clause, use the negative words nobody, nothing, and never. Don’t use the alternate forms with not. When someone uses two or more negative words in a sentence, it’s called a double negative. In the first sentence, the command is to not help or act. In the next sentence, the meaning changes. We now have a positive sentence, and we are implored to help. In general, double negatives are considered incorrect in formal situations—academic essays, GMAT essays, and Sentence Correction questions. But as with most “rules” in English grammar, exceptions exist. Double negatives can be used for special stylistic effect in literature or in spoken English. Although, when spoken, it tends to sound old fashioned or unnatural. But even then, sounding old fashioned might be funny, so a double negative can also be used for comedic effect. Not every day am I not allowed to not eat my breakfast in peace. The meaning of this sentence is hard to wade through. There is a better ways to say this—a more concise and direct way. Rarely am I not eating my breakfast in peace. I ain’t never done nothing to nobody, and I ain’t never got nothing from nobody no time. I never did anything to a person, and I will not get anything from a person at any time. Double negatives are incorrect on the GMAT so avoid any answer choice that leads to a double negative construction. The GMAT is not concerned with the possible humor in double negatives, nor is it concerned with possible stylistic effects. 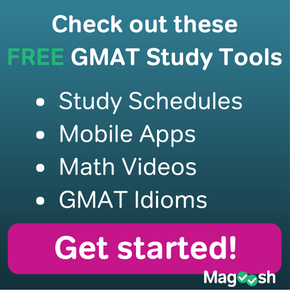 We know that the GMAT wants precise word choice, concise sentences, and formal diction. Double negatives are too informal. 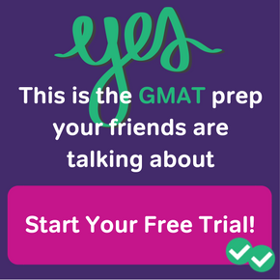 In the 13th edition of The Official Guide to the GMAT, double negatives appear in one question, so it’s not as popular as the tested idiom not only…but also, but it is a testable concept. In Spanish, two negatives don’t make a positive. That’s true! 🙂 In Spanish, sometimes a double negative is required to be grammatically correct and other times you can choose to use it or not, depending on expression. In English, though, double negatives aren’t okay, and definitely not on the GMAT!